You agree that in relation to the content displayed on this site (Content), 1300 AUTOTRANS does not, nor does any other party who provides Content to this site, make any warranty as to the accuracy, completeness or currency of the Content). As a user of this site, you should make your own enquiries before entering into any transaction on the basis of or in reliance upon the Content. To the extent permitted by law, 1300 AUTOTRANS and its employees, exclude all liability for any loss or damage (including without limitation, indirect, special or consequential loss or damage) arising from the use of, or reliance upon the Content whether or not this is caused by a negligent act or omission. 1300 AUTOTRANS does not accept responsibility for any liability in respect of access to other content through the use of this site. This site contains registered trade marks and trade marks which are the subject of pending applications or which otherwise are protected at law. Unless otherwise indicated, the trade marks are owned by 1300 AUTOTRANS and may have protection under the laws of other countries. You are not permitted to use 1300 AUTOTRANS’s trade marks except (a) by saving or printing a copy of 1300 AUTOTRANS’S site as permitted below under the copyright permission; (b) through a legitimate reference to 1300 AUTOTRANS or a service with proper recognition of the trade mark’s status; and (c) with 1300 AUTOTRANS prior written consent. The material on this site is the copyright of 1300 AUTOTRANS and is protected by copyright under the laws of Australia and other countries. You may save an electronic copy, or print out a copy, of parts of this site solely for your own information, research or study, but only if (a) you do not modify the copy from how it appears on this site; and (b) you include the copyright notice “© 1300 AUTOTRANS ” on the copy. You must not however reproduce, frame, transmit (including broadcast), adapt, link to or otherwise use any of the Content, except as expressly permitted by statute or with 1300 AUTOTRANS prior written consent. This site contains links to third party sites. 1300 AUTOTRANS is not responsible for the condition or the content of those sites. The link (s) are provided solely for your convenience and do not indicate, expressly or impliedly, any endorsement of the site (s) or the products or services provided there. You access those sites and use their products and services solely at your own risk. 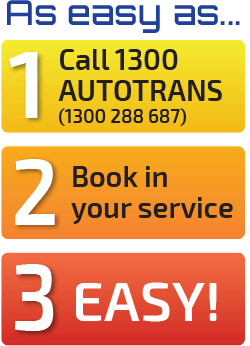 1300 AUTOTRANS does not represent that the content or services available from third party sites are appropriate or available for use in all parts of Australia. If you access other content or services from third party sites, 1300 AUTOTRANS is not responsible for your compliance with local laws or other applicable laws. The site (excluding any linked third party sites) is controlled by 1300 AUTOTRANS . By accessing this site, you accept that any disputes about this site or the Content are to be determined by the courts having jurisdiction in Queensland in accordance with the laws in force in Queensland (subject to the application of any principle of conflict of laws inconsistent with this requirement). This site may be accessed throughout Australia and overseas. 1300 AUTOTRANS makes no representation that the content of this site complies with the laws (including intellectual property laws) of any country outside Australia. If you access this site from outside Australia, you do so on your own responsibility and are responsible for ensuring compliance with all laws in the place where you are located.